Let Australian Lamb be your muse. We offer a variety of value-added primal cuts, trimmed and packed to meet your specifications. All cuts are available in user-friendly portions to save time and money. 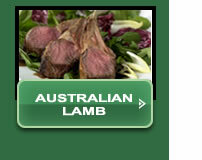 Customers will enjoy knowing our tender, delicious, naturally-raised Australian lamb is free of artificial additives. Australian lamb is lean and low in cholesterol compared to other animal proteins. In fact, half of the fat in lamb is mono-unsaturated, the same type of fatty acids found in olive oil. 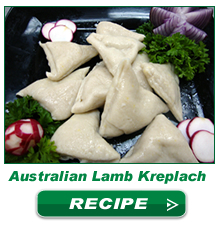 Australian lamb is an all-natural product — no artificial additives are used in production. 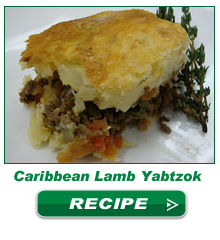 All of our lambs are naturally raised on lush green pastureland. Our lamb's sweet and mild taste is a result of Australia’s clean, pure environment.